A fixer upper in Cheviot Hills received a price reduction this week of 4.79% or $45,000, down to $895,000. 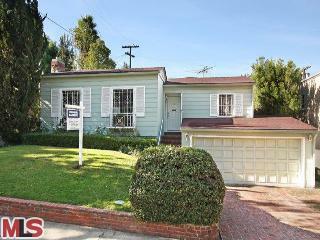 2917 Haddington Dr., LA CA 90064 came onto the market 24 days ago with an asking tag of $940,000. According to the MLS, the home is a 2 bedroom / 2 bath, 1,512 sq ft of living space on a 5,960 sq ft lot. The house is marketed as a trust sale without the need for court approval. 2917 Haddington Dr. located a few blocks away from the Rancho Park Golf Course / Cheviot Hills Rec Center on a nice tree lined street. While the interior is very clean, it looks to be in original condition and could use updating throughout.